Multi-tap ballasts available, call office for various voltages. 1-888-999-9041. * Ships in 48 to 72 hours. 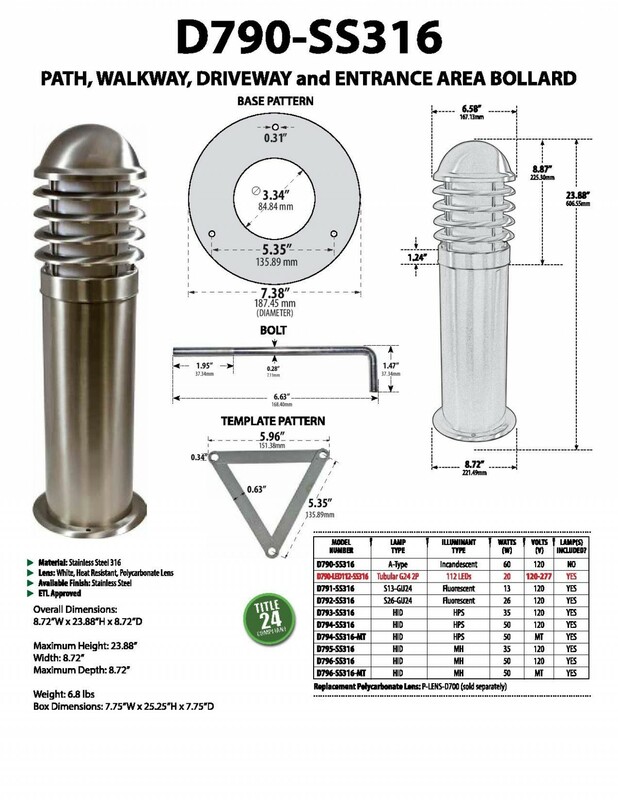 HEAVY DUTY 316 MARINE GRADE STAINLESS STEEL BOLLARD. Further discounts available for orders of 15 or greater. Call office at 1-888-999-9041. 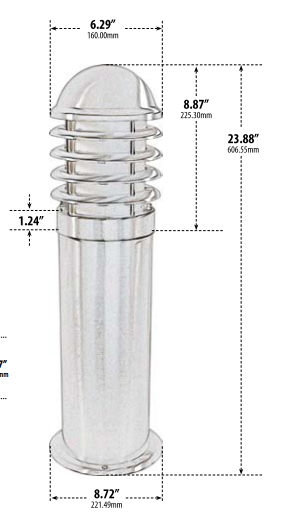 Illuminator Wholesaler is the top provider for all outdoor lights including commercial and residential. Contractors from all over the world choose us when they need quality lights quick. As one of the most respected and renown illumination providers, Illuminator Wholesaler is constantly being featured in a variety of magazines, articles, and television programs.